It arrived in the mail, an envelope containing a slim volume, from a former Rossland resident who moved to Victoria a few years ago. I wasn't expecting much, really. Pinching the book between thumb and forefinger, I was fully prepared to be underwhelmed. But then I started reading. And laughing. The wry wit, the humanity of the writer's voice! I found it delightful, and anyone within earshot could tell. The only problem is that it ended too soon -- I want more; this volume is all too slim. I'm hoping that this is a mere appetizer, and that several more substantial courses will follow, and soon, because my appetite for Huebert's work has been well whetted. 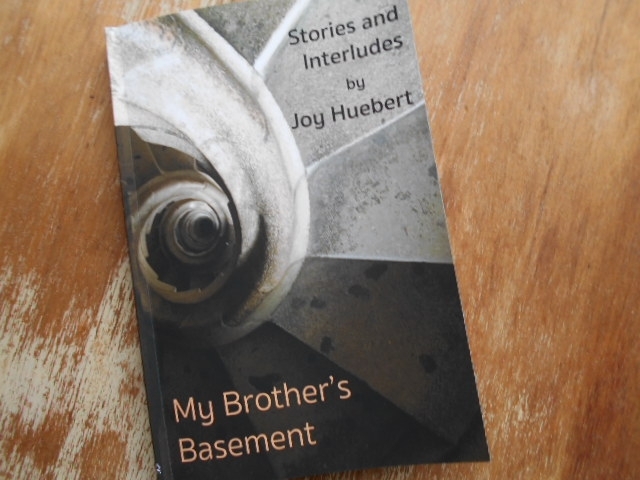 Published by Quadra books, this volume and others will be included in the "Indie Author Day Book Launch" at the main branch of Greater Victoria Public Library, at 735 Broughton Street in downtown Victoria, from 1:30 to 3:30 pm on Saturday, October 8, 2016. If you can acquire a copy of this book, I urge you to read it. The reading won't take long, and it's worth finding. But please, find your own copy -- I'm keeping this one.